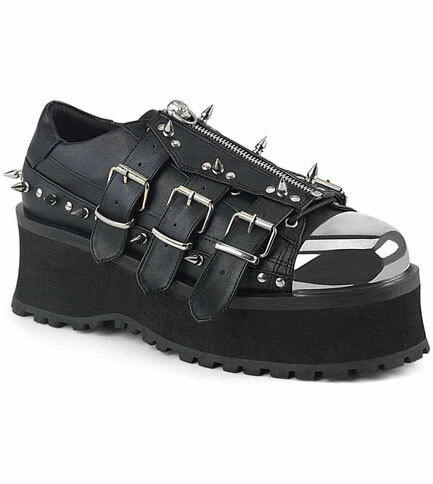 The Gravedigger-03 is a vegan leather lace-up oxford shoe with a 2 3/4 inch platform. 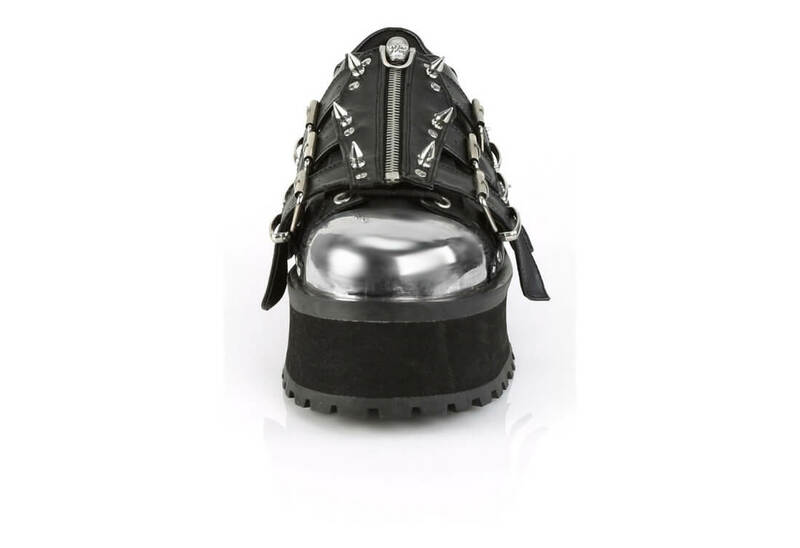 It comes with a chrome plated metal toe cap and spike and stud detailing. 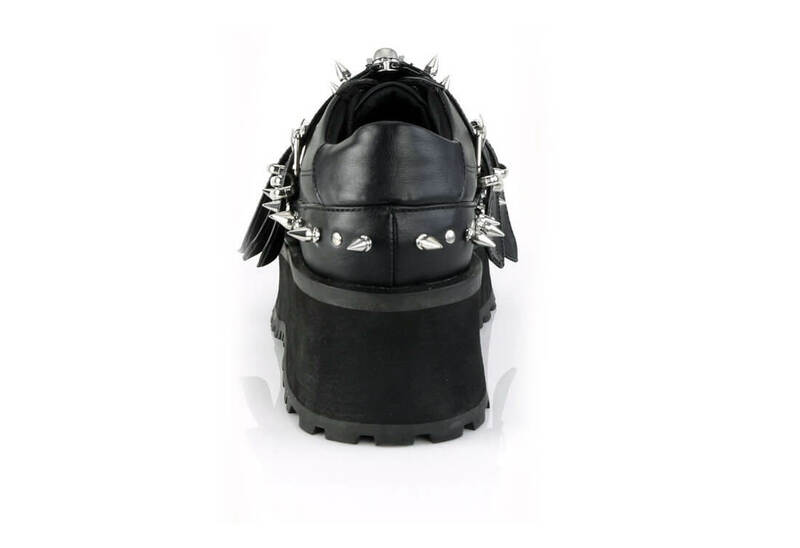 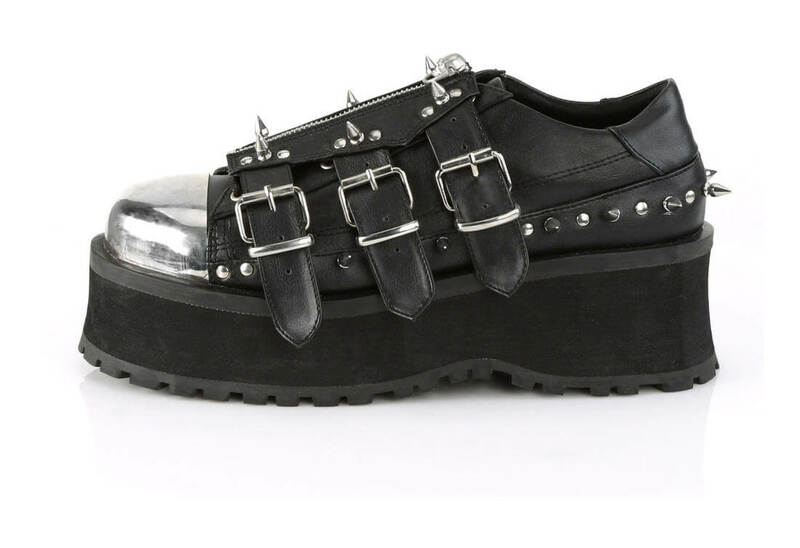 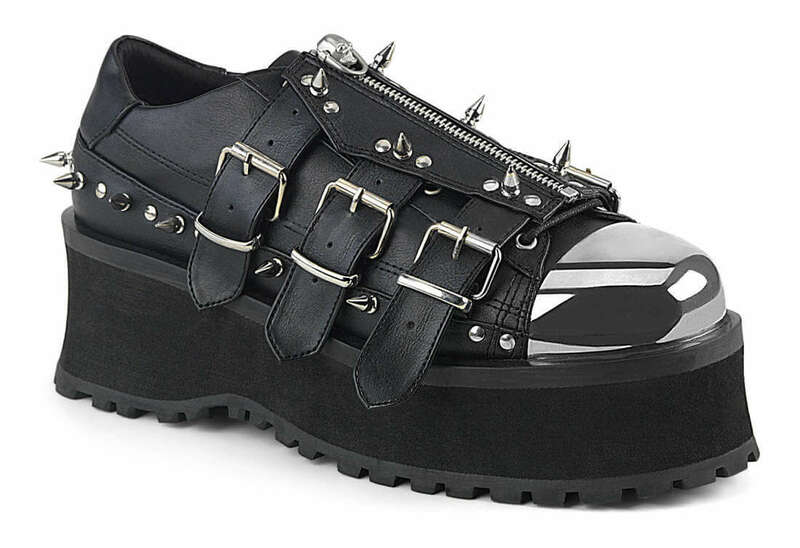 On the top of the shoe is a coffin shaped triple buckle strap with a skull head zipper.